Landlord says lawsuit at 166 West 75th Street is "frivolous"
Simon Baron Development, a prominent New York landlord and developer, allegedly threatened a rent-regulated tenant at 166 West 75th Street in the Upper West Side, according to a lawsuit filed in New York Supreme Court last week. Claude and Violaine Galland, who occupy Units 1206 and 1208 in the 16-story property, known as the AMSTRDM, claim that they received a handwritten note with their rent statement that said: “If you love your children, leave the building.” The couple reported the incident and the police looked into the matter, the lawsuit said. The two sides were in the middle of negotiating a buyout of the Gallands’ lease, the lawsuit claims. The Gallands claim that the units, which have a total of six rooms and three bathrooms, have an estimated value of $18 million and a rental valuation of $13,000 per month. The tenants previously won a court ruling that set their buyout amount at $3.5 million. The decision included a stipulation that the landlord would have to pay the Gallands $250,000 for every unsuccessful eviction through the courts. This did not prevent Simon Baron from launching three “rapid-fire” lawsuits, which the Gallands said in court filings were meant to “bring them to their knees for the distinct purpose of negotiating a buyout under duress.” Simon Baron lodged a total of five lawsuits against the Gallands. The alleged grounds for eviction ranged from questions over their primary residence and their school-aged children’s occupancy of the units. The threatening letter was sent after the Gallands rejected a buyout of $1 million, the lawsuit said, noting that the offer eventually rose to $2.3 million. The Gallands were ready to accept the amount, however, their lawyers told them to decline because Matthew Baron, the president of Simon Baron, refused to guarantee payment, the suit says. The Gallands attempted to settle the matter through arbitration, which was contested by Simon Baron, according to a court filing from September 2018. The Gallands are no stranger to real estate lawsuits. In 2015, the couple sued to block negative reviews for their Paris apartment on vacation rental service VRBO. The Gallands, who operate a company that sells bus passes and travel guides to tourists heading to Paris, sued two couples that posted critical reviews on the website, citing a violation of defamation laws. A Manhattan judge tossed the lawsuit in January 2018. Simon Baron acquired the 157-unit building out of foreclosure in 2013. It was previously a single room occupancy hotel called the Parc Lincoln Hotel. The firm, which paid $43 million to acquire the property and spent $15 million on a gut renovation, put the building on the market for $115 million in 2015. The firm later lowered the asking price to $85 million in July 2017. As of that date, it had 90 free-market units and 69 rent-regulated units. 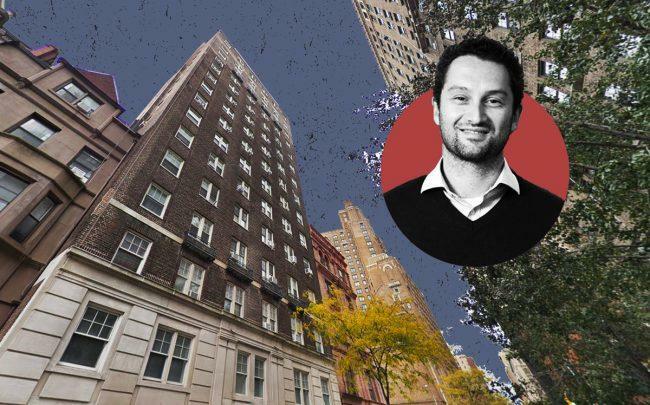 Simon Baron has also been locked in a strange rent-stabilization battle with attorney Barry Fox, whom the developer says owes $2.6 million in overdue rent and damages at 12 East 88th Street. In 2017, it filed eviction papers against controversial multifamily investor Rafael Toledano, who subsequently claimed to be a rent-stabilized tenant at 393 West End Avenue.